The ceiling has been lined under the rafters with a pine lining boards. 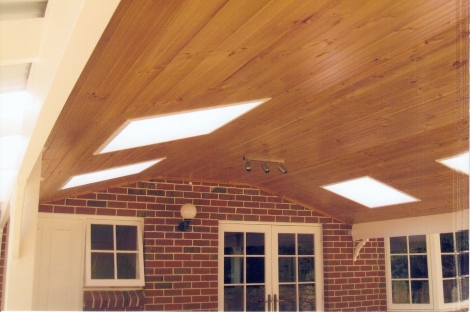 Polycarbonate sheeting has been placed on the roof and cutouts in the lining board lets the light in, gives the appearance of sky lights but a lot less expensive. Cost of lining patio approximately $100 square meter.